Mtose allegedly sat on the shortlisting panel that ensured she was the only successful candidate. Six full professors somehow could not match her. Following the handover of former University of Zululand (Unizulu) administrator Dr Christo De Beer’s report that implicated former council members of gross mismanagement and corruption, the then vice-chancellor, Prof Fikile Mazibuko, resigned with immediate effect on October 2014. 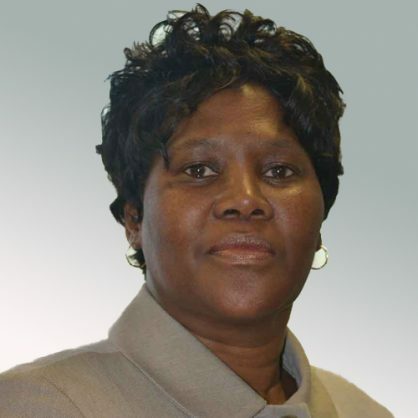 It was time to find a new leader and Professor Xoliswa Mtose, the then deputy vice-chancellor for teaching and learning, was nominated by council as the acting vice-chancellor until the position was filled. On 8 May 2015, a selection panel constituted of council members met at Liberty Towers in Durban to shortlist candidates for the vacant position. The panel received nine applications. Ten council members, including Prof Mtose, the chairperson and Ms NN Mbatha, who was representing academic staff on the panel, heard that although the meeting was quorate, Dr Diane Parker – the deputy director-general responsible for universities at the department of higher education and training (DHET) – withdrew “as the member of the panel since DHET was not a constituency in Council,” according to the minutes of the panel meeting. However, The Citizen understands that a delegate from the department can form part of the university council, as per the Higher Education Act. The shortlisting panel further considered the matter of the suspension of Rob Midgley [currently the vice-chancellor of Walter Sisulu University], who was then deputy vice-chancellor of research and innovation, who withdrew as a member due to being on suspension. “The panel accepted the resignation and the incumbent was replaced by Prof Mtose,” the minutes read. In effect this means Mtose was allowed to sit on a shortlisting panel that initiated a hiring process that ended in her being hired herself. Despite receiving six applicants who held full professorship, it appears council had already pre-determined the outcome. It was decided that five of the candidates “did not meet the minimum requirements” and were “immediately disqualified”. The remaining four candidates, namely Prof Mubangizi (currently deputy vice-chancellor and head of the college of law and management studies at UKZN); Dr Jabulani Mjwara (formerly the deputy vice-chancellor of institutional support at Fort Hare); Prof Thandwa Mthembu (currently the vice-chancellor and principal at DUT) and Prof Khehla Ndlovu (deputy vice-chancellor at DUT) “met the minimum requirements, but did not satisfactory (sic) meet all the set selection criteria”. Despite many of these academics clearly having impressive CVs, no one was good enough for Unizulu. So Mtose’s contract as acting vice-chancellor was presumed to have been extended, with a source close to the action at the time claiming “in December 2015 Mtose travelled with the minister to Cuba” and shortly thereafter in January 2016 she was interviewed as the only candidate for the vacant vice-chancellor position. The Citizen sent questions to the council chairperson and university spokesperson on Monday and Tuesday regarding how many other candidates were interviewed with Mtose and what the recommendations of council were.